Marquetry is the fine art of piecing together intricately cut pieces of wood veneers, creating patterns and pictures. 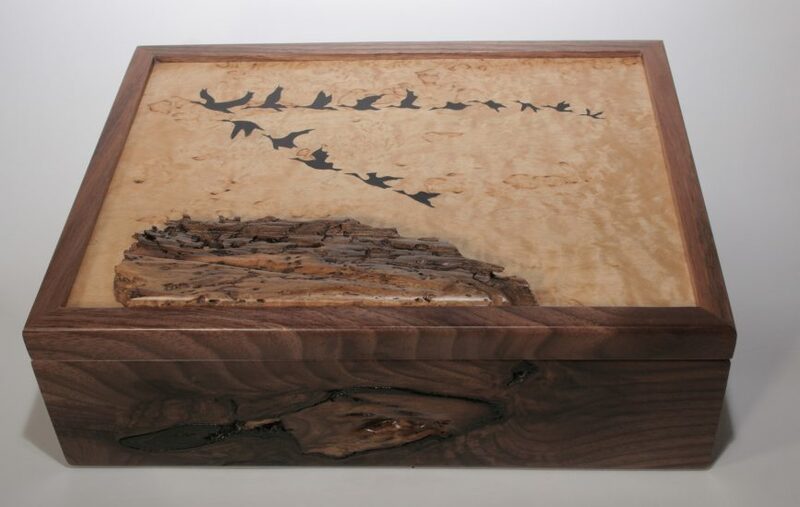 From her studio in Owen Sound, Diane Edwards blends exotic veneers and local hardwoods, making pictures, mirrors, and boxes. Inspired by the Canadian landscape and the often whimsical nature of the garden and forest, Diane draws and translates the images into wooden pictures. A fascination with Celtic design also highlights some of the fine crafted boxes. Special orders and customized keepsake items are welcome.